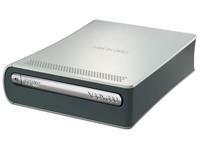 The final update for the Xbox 360 HD DVD add-on player is now available. Users will be asked to automatically download the update the next time they are watching an HD DVD movie and logged into Xbox Live. The update will improve compatibility with certain titles and network features. For users who don’t subscribe to the Xbox Live service, the download will be available later this week at Xbox.com. This news comes from Xbox Live’s inside blog Major Nelson.